Boston College, B.S. ; Suffolk University Law School, J.D. Mr. Brazilian is a Partner at Butters Brazilian LLP. 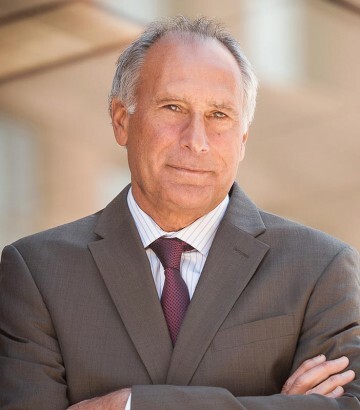 His areas of practice include transfers of commercial and residential real estate; real estate related disputes; construction litigation; litigation of commercial and partnership disputes; title and survey work; and condominium conversions. He also has a lengthy background in state and federal criminal defense. His practice also includes acquisition and sales of real estate and related litigation in the Nantucket market, where he has been active as an attorney and developer for more than 20 years. After admission to the bar, Mr. Brazilian was a VISTA attorney for Boston Legal Assistance Project in South Boston and was the juvenile criminal lawyer for Columbia Point Housing Project, after which he entered private practice until the formation of the firm in 1997. For over 20 years, Mr. Brazilian has been Peer Review rated as AV®-Preeminent™, the highest performance rating for legal ability and ethical standards by Martindale-Hubbell®. In his spare time, Mr. Brazilian enjoys playing squash, sailing and travel. He is a member of the Board of Governors of the University Club of Boston.